CRTV is excited to announce the premiere episode of LevinTVSM, which goes live today at 9:00 p.m. ET / 6:00 p.m. PT! Hosted by Mark Levin, one of the nation’s most compelling, passionate and thoughtful conservative voices, LevinTV is a commercial-free explosion of Mark Levin’s engaging personality, unique intellect and passionate commentary about history, economics, philosophy and the latest political and current events. With more than forty minutes of original content every weeknight, the show also features exclusive, long-form interviews with compelling guests from all walks of life, as well as questions and comments from fans via social media. LevinTV will be America’s new televised Town Hall meeting and is the next step in the evolution of digital conservative media. 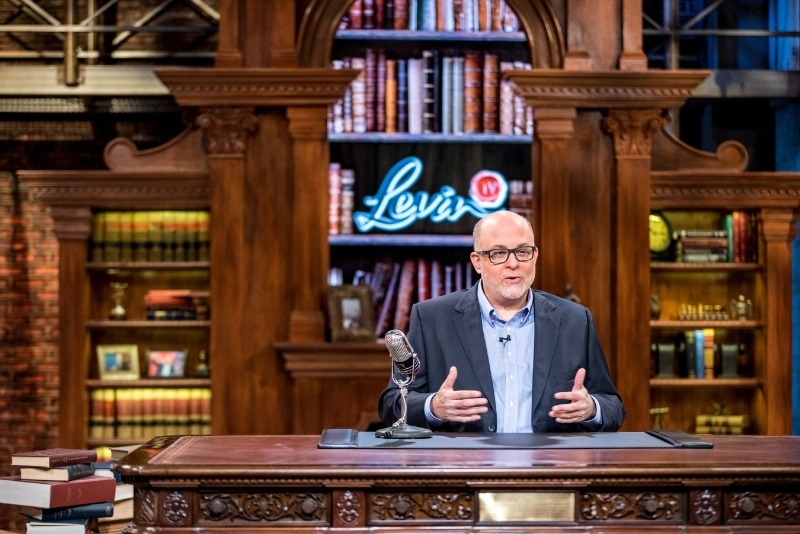 Broadcast in HD in our stunning, technologically advanced studio, Mark Levin will bring his unique perspective of pro-American and patriotic values to his new TV show that champions liberty and true conservatism. Mark Levin’s loyal audience and new fans alike can subscribe for an entire year for $69. Monthly subscription fees are $7.99. By keeping subscription prices low, LevinTV can be commercial free and accessible to a large and growing audience. LevinTV can be viewed through laptop, home computer, iPhone, iPad, Android phone, tablet, Amazon, Amazon Fire and Roku. For more information, visit www.LevinTV.com. Mark Levin is a popular and influential political commentator. He is best known as the host of The Mark Levin Show, one of the most respected and exciting political radio shows in the country, with millions of weekly listeners. Described by colleagues as the “intellectual leader of the conservative movement,” fans of this former Reagan White House advisor know they can always count on Mark to give a brutally honest and unique take on the hottest political topics. Born in the Philadelphia area, Mark grew up in a patriotic family, passionate about our country and its history and politics. After graduating law school with honors at Temple, he began his career in the corporate world before jumping into politics. Mark served as an advisor to several members of President Ronald Reagan’s cabinet, eventually becoming Chief of Staff to the Attorney GeneralEdwin Meese. He was also Deputy Assistant Secretary at the U.S. Department of Education and Deputy Solicitor of the U.S. Department of the Interior. From time to time, Mark provided legal and constitutional analysis to The Rush Limbaugh Show, using his law background and sharp wit to offer a unique legal perspective on issues of the day, earning him the nickname “F. Lee Levin.” Increasingly popular, he also began appearing as a guest on The Sean Hannity Show until launching his own radio show in 2002. His popularity soared, and by 2006, his show was syndicated nationwide and is now currently heard on over 300 radio channels as well as SiriusXM Satellite Radio. Nicknamed “The Great One” by Sean Hannity, the inimitable Mark Levin is a powerful voice on the radio airwaves in New York, Los Angeles, Chicago, Houston, Philadelphia, San Francisco, Dallas, Washington D.C. and Detroit. His six books all became New York Times bestsellers, including his last four, Liberty and Tyranny (2010), Ameritopia (2012), The Liberty Amendments (2013), and Plunder and Deceit (2015), all of which hit #1 on the list. In addition to radio and TV shows, Mark was tapped in 2015 to be the first Editor-in-Chief of the new Conservative Review. With 1.7 million followers on social media, Mark keeps fans educated on today’s conservative news right as it happens. CRTV is committed to developing content and brands that attract, inform and entertain audiences through the platforms of their choice. We create political, entertainment and sports shows of exceptional quality, utilizing the latest technology to captivate and engage a wide range of demographics with fully branded HD quality content. CRTV brings high quality entertainment to your fingertips, where and when you want it.